In one devastating night, violin prodigy Etta Spencer loses everything she knows and loves. Thrust into an unfamiliar world by a stranger with a dangerous agenda, Etta is certain of only one thing: she has traveled not just miles but years from home. And she’s inherited a legacy she knows nothing about from a family whose existence she’s never heard of. Until now. 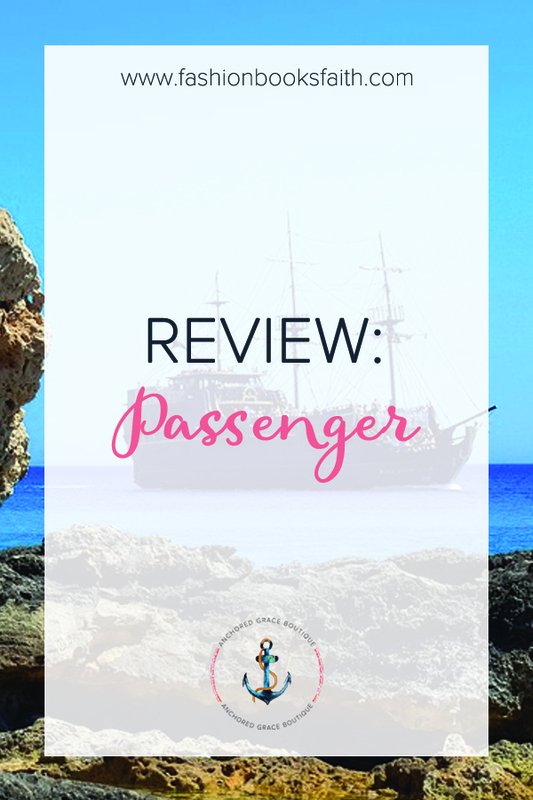 Read on to see my review of Passenger by Alexandra Bracken. In the opening pages of this book, we meet Etta, a young girl, and violin prodigy. First of all, I’m just going to put this out right here in the beginning. Right now, this very second, I can’t tell if I absolutely love this book or am totally irritated by it. In the book, we have all the makings of an amazing book – drama, forbidden love, adventure, death, and pirates. Yes, pirates because who doesn’t love pirates! The pace of the book was perfect and the worldbuilding was good too. I would have loved to “see” more of the cities described but that would have slowed the pace so I’m ok with it as it stands. The characters were well written and had great depth to them. We had a chance to feel alongside Etta as she dealt with loss, love, and fear. But here’s where I am annoyed. Etta is stupid half the time while Nicholas is stupid the other half of the time. Oh, and Sophia, she is stupid all of the time. The “bad guys” are so well written that even I wanted to “win” against them. But the book ended with some shocking revelations and I definitely will be hunting down the second book in the series to see what happens. Check the book out and let me know your thoughts. Love it or annoyed by it?